verb (used with object) – to show or indicate beforehand; prefigure: Political upheavals foreshadowed war. I was looking through old photos recently, when I stumbled across two that caused me to stop and think about the funny ways the universe works. They immediately brought to mind two other, more much recent photos. It is one of my all-time favorite photos of Ryan. I had forgotten all about its existence but as soon as I saw it I remembered how much I loved it — mostly for the “halo” effect the sunlight created by shining through his (at the time) blonde hair. 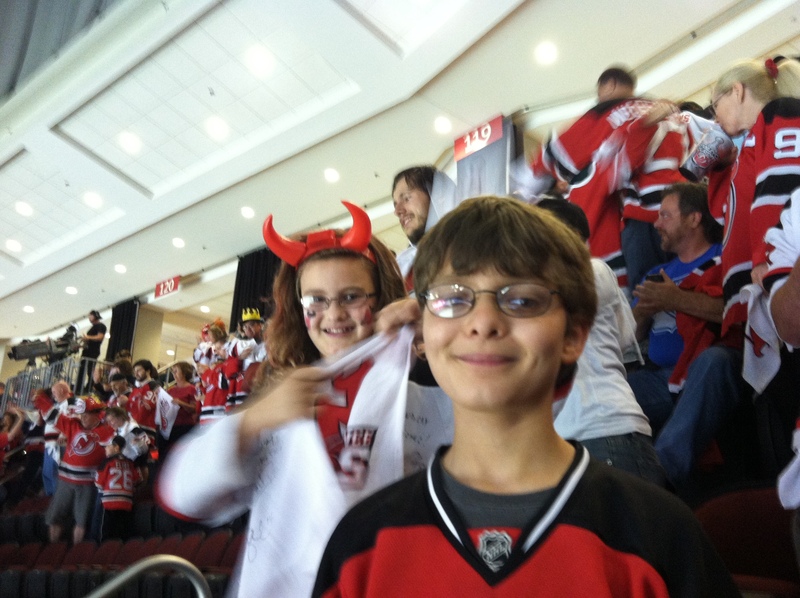 I didn’t even remember that he had a Devils jersey at that age. He certainly didn’t know anything about, nor did he care for, the sport that has dominated our lives for the last five or so years. Heck, he was barely talking at that age. From the post “This Is What Happiness Looks Like” after witnessing the Devils beat the Rangers to advance to the Stanley Cup Final. 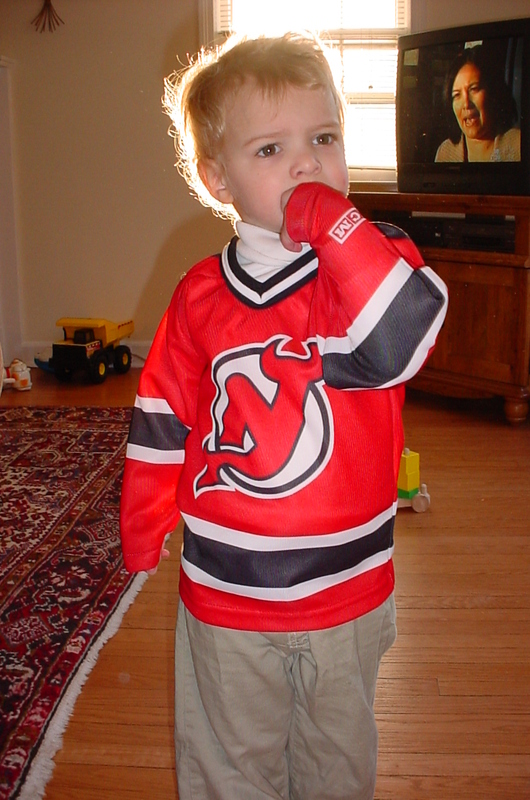 The blonde hair has turned darkish brown, and that original Devils jersey has been replaced by one several sizes larger, but it is clearly the same child. Look, I know Ryan didn’t come by his love of hockey by accident. Clearly there was some imprinting going on. I still find it ironic that the first photo exists. I showed it to Ryan and asked if he knew who it was. He figured out it was him pretty quickly, but he was still perplexed. 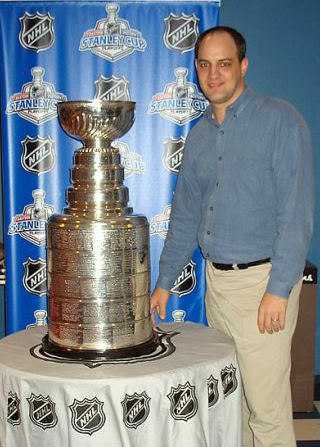 “But I wasn’t even a hockey fan then!” he told me. I explained that no, he hadn’t become a fan yet, but that we were trying to encourage him, which is why he had the jersey. That boy is me, and the occasion was a family trip to Toronto to visit the Hockey Hall of Fame. 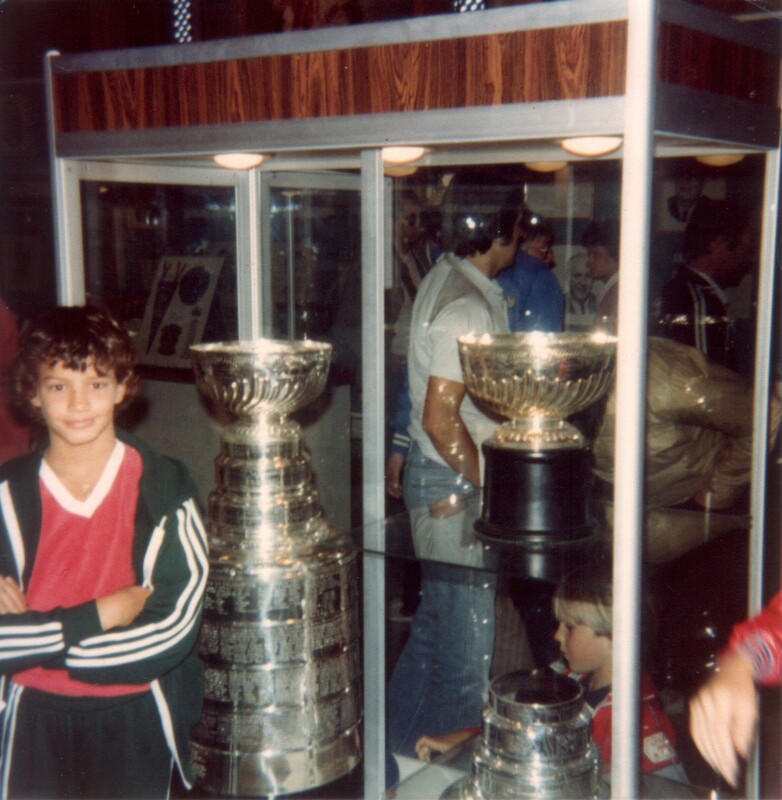 I, too, was a hockey-obsessed kid, and from the time I first learned about the sport, I wanted to visit the Hall of Fame and see the Stanley Cup. Back in those days we used to take long, rather unplanned family driving vacations every summer. We’d set out with a general destination, and several stopping points, on the itinerary and not much else planned. I believe on this particular trip we also visited Niagara Falls. Getting re-acquainted with an old friend. Anyone that knows me is not really surprised that I ended up with a career in hockey, as I had such a strong interest in the sport from a very young age. My son’s interest is different, sure, but no less strong. May it foreshadow the same things for him.